It’s that time of year again, when Apple pulls back the curtain on its latest releases in a keynote presentation. This year’s Apple Special Event will be the first held in the new Steve Jobs Theater at Apple’s new corporate campus, not that the location has any real bearing for those who prefer to watch the webcast. 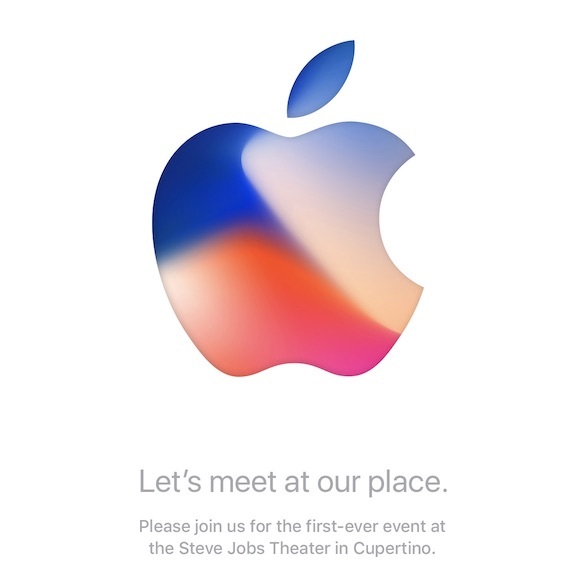 The event will start at 10 AM PDT, and you can watch it on any Mac or iOS device in Safari, or on an Apple TV. If you’re stuck on a Windows machine, Apple says Microsoft Edge in Windows 10 will also work. We anticipate that Apple will announce at least one new iPhone model, if not more. The company may also say more about the HomePod, which Apple promised for December 2017 (see “Apple Will Enter Smart Speaker Market in December with HomePod,” 5 June 2017), and possibly the Apple TV, which is due for a hardware refresh. An Apple Watch with its own cellular connection has also been rumored. Operating system updates — iOS 11, watchOS 4, and tvOS 11 — will also undoubtedly be featured as well, and it’s likely that at least iOS 11 and watchOS 4 will ship soon after. Historically, Apple has shipped macOS updates anywhere from a few weeks to a month later. We’ll be chatting with TidBITS readers during the keynote in our SlackBITS group. To join the group, go to slackbits.herokuapp.com, enter your email address, and agree to the code of conduct. You’ll receive a Slack invitation in email right away.